Hello hello everyone!! So sorry I went a Friday and a Monday with zero content on the blog. I really strive for a M-W-F schedule, and am usually pretty reliable, but my insomnia has been epic recently. I am normally pretty good at keeping life up and running regardless but for some reason the last couple weeks have just been hard. To top it off, I was trying to read a book that was just depressing. So I decided to put that book down for a bit and look for something a little more lighthearted and fun. Enter Sophie Kinsella. I have to start by saying that I've never read her Shopaholic series, or any of her other books...although I know they were popular for quite a time. My main reason for grabbing this one was it's fun and perky cover, because we all know I regularly judge books by them. But when I read the blurb I was truly intrigued by the premise...and honestly feel it's a very pertinent and relatable story for the time we are presently living in. So I jumped in looking for a fun respite from my sleep-deprived state. 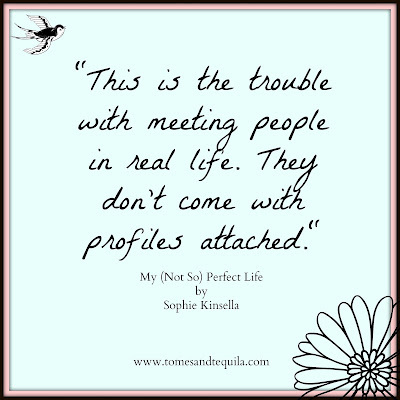 My Not So Perfect Life by Sophie Kinsella tells the story of Katie Brenner. But, well...she wants to go by Cat now that she's living in London and working at a fancy marketing agency. Her Instagram tells the story of the life she's worked so hard for. The Perfect Life...full of beautiful coffee mugs placed at just the right angle on an outdoor cafe table (too bad she can't afford to drink there, and takes the pics when others go to the restroom)...artfully filtered shots of her basking in the grooviness of her adorable London flat (that pic's not of her place either, which she shares with two horrible roommates)...cropped, tweaked and perfectly molded to project the life she has always dreamed of. A life like her boss Demeter. SHE has everything she could ever want and then some. But then Cat is let go at work...made redundant...fired. This isn't how her perfect life is supposed to go. What will everyone think? Will a trip back to her family farm help Katie/Cat figure out what she wants to do with her life? Is she as good at Marketing as she thinks she is? Will she ever find another job that isn't on the farm? What is her father going to think about her being fired? And...what on earth is the perfect Demeter doing booking a holiday at her family's new Glamping business?? I really enjoyed this book, but that could be because the last one was such a downer and this one is so bright and fresh. I think it would make a good, easy-to-read Book Club selection because there is quite a bit to discuss in it. The biggie being how social media impacts our lives, and whether constantly seeing people's filtered highlight reels changes how you perceive your "real" life...warts and all. The conversation is too big for a book review...but it's part of why I wanted to read this book, and it fulfilled my expectations perfectly. It also delves into family roots and embracing your heritage. Who says you can't delve into serious subjects in what could ostensibly be referred to as a Chick Lit Novel?? I sure as heck don't!! 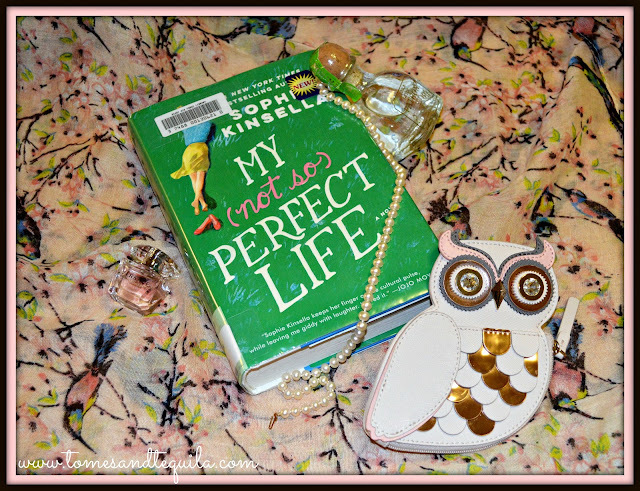 I would definitely recommend My Not So Perfect Life, and I'm giving it 4 stars. I liked the characters, laughed at Katie's description of her trek through London to get to work in the morning (I miss England!!) and despite having an idea of where it was going, I was interested until the last page. Maybe I just needed something I didn't have to struggle too much with, but this book hit the spot for me this week. So, should I pick up any other Sophie Kinsella books? 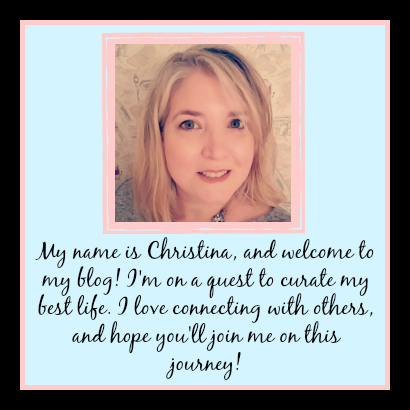 What are your thoughts on Social Media and it's impact on women in particular when it comes to trying to have a "Perfect Life"? I'd love to hear about it in the comments here or over on my Facebook page.